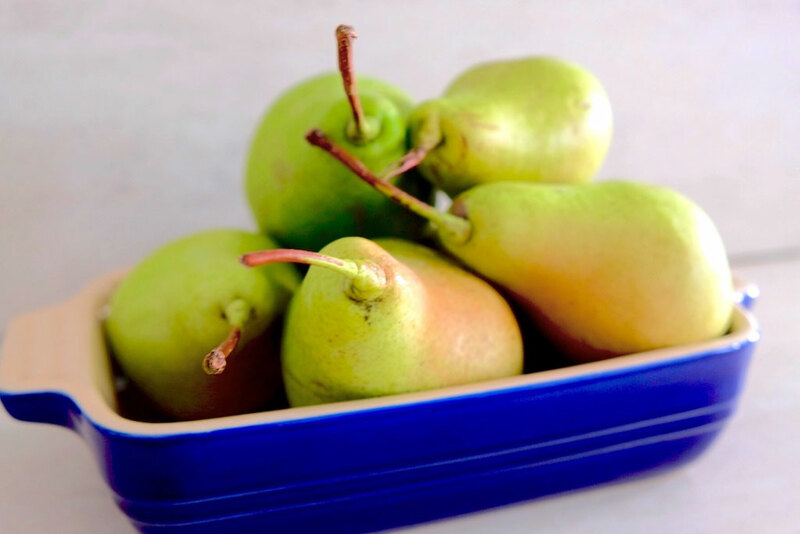 RECIPE: My Autumn inspired Dessert "Drunk Pear"
There are different varieties of pears according to the maturation period. The early ones are ready to eat at the end of july. This time, I have chosen the late ones which are just nice and ripe and ready to eat (or cook) at the end of september. Green, with hint of red and yellow colour sort of pear from Slovakian grower was just perfect for the dessert as you will need firm, ripe pears. The recipe is perfectly simple. Just follow it step by step and you will create magical tasty autumn pudding! First off - peel, halve and core the pears and place them into a bowl with splash of lemon juice. Put the wine, honey and vanilla seeds which you scrapped off your vanilla pod to the saucepan. After that, add the whole vanilla pod into the saucepan and bring it to medium heat. After your honey has dissolved, put the lemony peeled pears in and let them to simmer until they are just tender. Take the pears out and let them to cool down. After reducing the poaching liquid to a syrup, switch the cooker off and let the syrup to cool down. Pour the syrup over the cooked pears and place them into refrigerator. Meanwhile make your mascarpone cream. 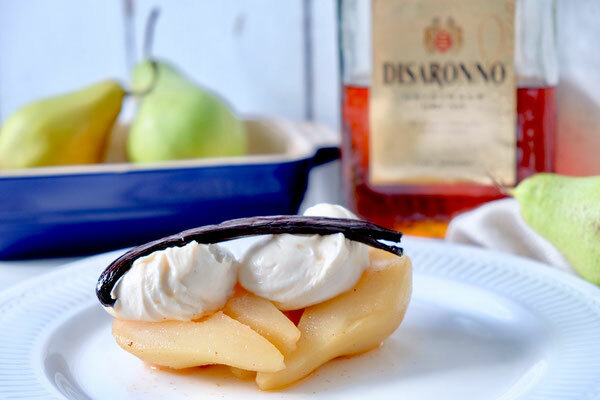 Put the mascarpone into a mixing bowl , add the vanilla sugar, Disaronno and few spoons of poaching syrup. Whisk the mixture well until you get nice smooth cream. After the pears have been chilled well ( I couldn't resist after just 1 hour! ), take them out, place them nicely on a plate, pour some syrup over, add the dollop of mascarpone cream and you are good to go!